Every store I enter is jam-packed with back-to-school supplies. Although the temperature remains toasty, we are losing daylight at an alarming rate, and the leisurely weeknight barbeques of July have become a race against time to finish before it’s too dark to see what you’re eating. Labor Day weekend has passed – the party’s officially over. I never minded the actual school work – it was the getting up so early and the restrictive structure of the Monday-through-Friday routine that was the problem. See the irony here? What I didn’t like about school is exactly what most of the workforce, myself included, complain about on a daily basis. A friend of mine talks about having the “Sunday night blues.” She says it coincides with the television show “60 Minutes.” The moment she sees the stopwatch and hears the ticking sound of the passage of time, she becomes angst-ridden. I don’t watch “60 Minutes,” but the emotions I experienced the night before the first day of school remain so vivid, and continue to rise up in me every Sunday night. Nothing can compare to the carefree feeling of the childhood summer vacation. As working adults, we take off for a week or two in summer to recharge our batteries. But the bottom line: whether you’re a kid going back to school or a working adult, vacation is fleeting. 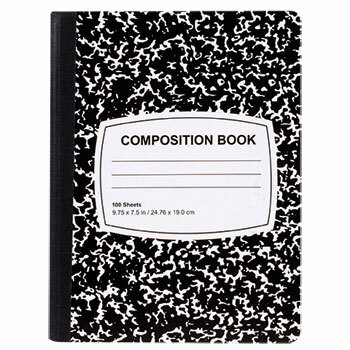 As my friends and co-workers talk about getting their children ready to go back to school, I can’t shake the image of school supplies, and I remember the black and white composition books of my own school days. It suddenly seems that it’s not so much about the first day of school, or about mourning the end of summer, or even about the daily grind, as it is about the chance to start over, fresh. It’s about that blank page in a brand-new notebook. Give me a ring, okay? No, not that kind of ring! I’m not looking for bling, or a proposal. 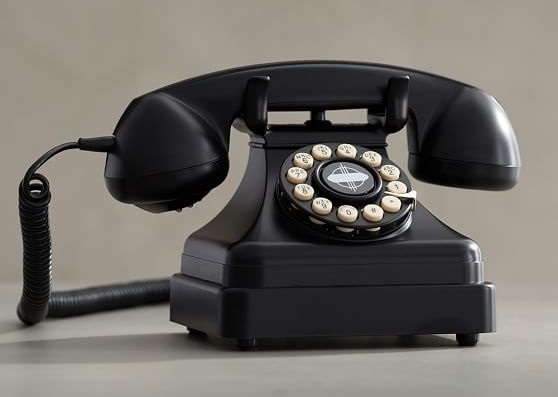 I just want to talk – have a convo – a good, old-fashioned phone call. Remember those? As a teenager, I holed up in my bedroom after dinner, chatting on the phone with my friends, even though I’d seen them all day at school. During college, the frequent calls with my family helped to ease the miles apart. The giddy calls with boyfriends – “you hang up first,” “no you hang up first” – and the angst-filled conversations with would-be-could-be-might-be-boyfriends were something else. Over the years, I’ve treasured the out-of-the-blue calls from far-away friends and favorite cousins I don’t see nearly as often as I’d like. Whenever I place a call that I know will brighten someone else’s day, it gives me a lift, too. Clearly, the e-mail and the text message have changed the way we communicate and those “the phone’s just been ringing off the hook!” days seem gone forever. I don’t have anything against emailing or texting. Each has merit. The email can relay a large chunk of information quickly, and seamlessly. And nothing beats a text when you’re running late to meet someone and you need to let them know. But this past week, I got on the phone. First, I placed a long-distance call to an old college friend. He and I caught up and reminisced, and an hour went by in a flash. Then, a long-overdue call to a friend who lives only a few miles away but whose demanding work life, like mine, has limited her leisure time. Our talk was validating and restorative. And finally, I checked in on a friend I haven’t seen in nearly a year but who’s been on my mind lately. When she shared with me the sad news that her father recently passed away, I tried to offer comfort, and wished I’d called sooner. Remember that old television commercial for the phone company? The tag line was “reach out and touch someone.” I used to think it was corny. Now, not so much. Was I a good daughter today? A good sister? A good friend? Was I a good worker today? A good neighbor? Was I a good Catholic today? Was I a good writer? Was I good to myself? On any given day, I fall short on more than one of these. But it’s not for lack of trying. Yesterday I helped a blind man in the subway – did that make me a good Catholic or a good neighbor? I also worked late which made me a good worker. But I missed dinner with my brother so I can’t say I was a good sister. Over the weekend, I carved out some time for writing. But a friend needed to talk and a lengthy long-distance phone call ensued. That made me a good friend. But you can’t be a good writer if you don’t actually write. Still, I think about other friends who’ve sent emails I have not answered, or kindly written comments to my blog posts that I’ve yet to acknowledge and post. So am I a good friend, really? The one that troubles me most is “was I a good daughter?” For years, I took an April vacation and went home for a week. My mother’s birthday falls in April, and my visit is the only present she wants. But these past two Aprils I didn’t give her that gift, despite having ample vacation time. Work conditions just did not permit it. So I was a good worker, but I cannot say I was a good daughter. Someone close to me who knows about my nightly reflection tells me I’m being too hard on myself. Am I? Or am I just being honest? 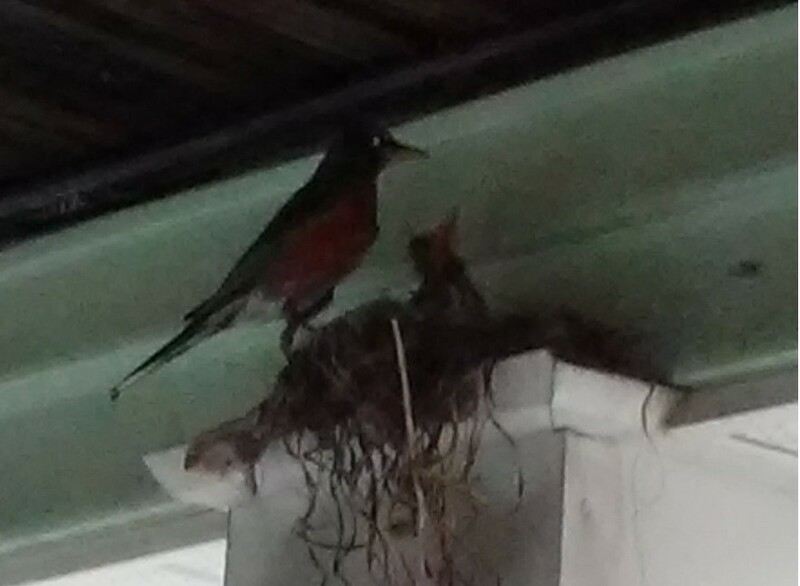 Last month, I told a story about the robin’s nest on my front porch. An expectant robin redbreast was waiting for her babies to hatch, and I, watching from my living room window, waited right along with her. Initially, she was skittish and flew away whenever I approached. Later, she barely budged from the nest. I knew the baby birds would be coming soon. What I hadn’t expected, but was delighted to see, was the arrival of a male robin in that crowded little nest. He was tall and slim, his breast a more vivid shade of red than that of the female robin. As she sat with the eggs, he flew back and forth, always returning with worms – yes worms. I frequently checked on the birds and soon found the female robin still as can be, alone in the nest. Or so I thought. Much to my delight, I spotted two tiny hairless heads peering out of the nest. The babies had hatched! I imagined that perhaps one might be a girl, the other a boy. The next day, the female robin was gone. Poor thing, she must have been exhausted. Was she at the bird spa, getting a massage and gorging herself on worms? Now the male robin had taken her place, carefully tending to his offsprings. I remained transfixed watching as the dad robin carefully placed a worm into the outstretched beak of one of the babies. He was a good provider. As he continued to feed the babies, I tried in vain to take a good picture of this amazing paternal display but it was not such an easy thing to capture. It seemed no coincidence to me that the dad had arrived, had stepped in as caregiver to the fragile baby birds, just in time for Father’s Day. A friend who knows a great deal about birds described what would happen when the baby birds were ready to fly. They would step out of the nest and on to the solid wooden ledge and flap their wings. Flap, flap, flap, but they would hesitate to take the plunge. They would continue to do this, in the same way that a beginner swimmer stands by the edge of the pool. Then, when the birds felt ready, they would flap, flap, flap and take off into flight. I couldn’t wait to witness this. The nest has been empty for several days now. No mother, no father, no babies. It would appear they’ve gotten out of Dodge. Even though I didn’t get to see the babies fly for the first time, I know they did. Because when a father provides for his daughter and son, like my dad did for our family, the kids grow up and go out on their own. The healthy ones fly out of the nest. To all the great dads – and especially to my dad – Happy Father’s Day. It was supposed to be a quiet night with no plans, no obligations, and no work the next day. Because of my bathroom reno, I was staying at my brother’s place, and he was away for the weekend. It was the ideal time for a relaxing, indulgent night-o-beauty. The stage was set: charcoal mask treatment for my face, lavender scented Epsom salt for a soak in the tub, and all the implements needed for a professional-style mani-pedi were neatly arranged on the bathroom countertop. Draw the bath and cue up Enya’s “Paint the Sky with Stars,” for I had created the perfect home spa! I cut my foot using the type of callus remover that looks like a miniature cheese slicer. At first I didn’t realize how deep the blade went, all I felt was a stinging sensation. But a moment later, my foot was bloody. I grabbed a wad of tissues and reached for the Band-Aids. When that didn’t work, I stuck my foot back in the tub, under running water, and soon enough the bathtub looked like the shower scene in the movie “Psycho.” I tried to save my brother’s gleaming white bathroom: watch out for the shower curtain, protect the grout, don’t ruin any of the good towels… I didn’t comprehend the severity of my injury until 45 minutes had passed, the bathroom was in shambles, and I still couldn’t control the bleeding. It was after midnight on a Saturday night, and I was home alone, stranded with no mode of transportation to get to a medical facility. I can’t do this by myself – I need help. I picked up the phone and called 911. Within moments, my doorbell rang and two Emergency Service providers were lifting me onto a stretcher and into an ambulance. 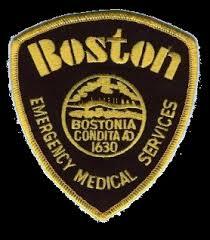 I’d never been in an ambulance before, nor called upon a first responder for help of any kind. The young man and woman who came to my aid wrapped my foot more securely, checked my vitals, and kept me calm during the long ride to the hospital. I thought all I needed was a hand – for my foot – but they treated my injury with the same level of care afforded a life-and-death situation. First responders are real-life super heroes who work in the most difficult circumstances, at warp speed, on a daily basis. 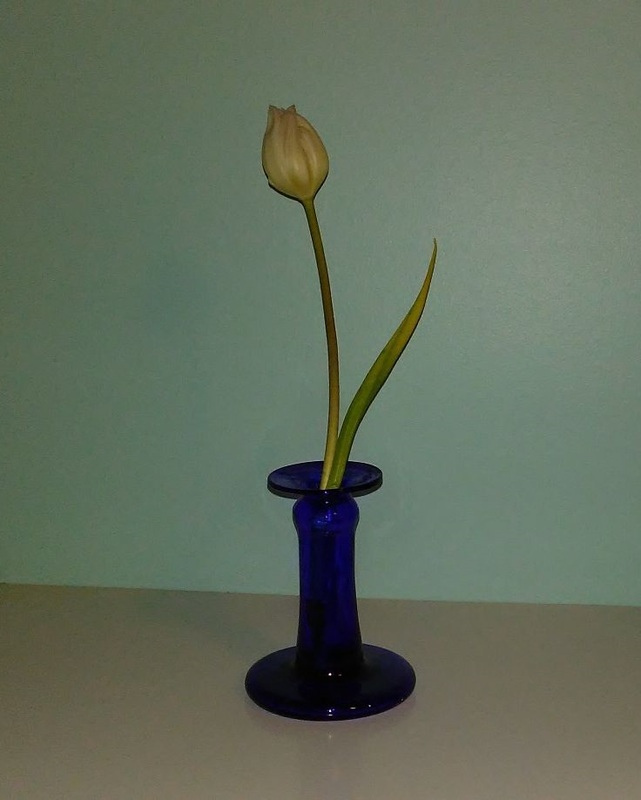 When they dropped me off at the hospital, I thanked them, but it hardly seemed enough. It’s been two months since that night, and my foot has completely healed. I wish I could remember the names of my super heroes so I could thank them again. At first, I thought the debris strewn all over my front porch came from the gutters, after a soaking spring rain, so I gathered it up and threw it in the trash. But when more debris mysteriously reappeared the next day, it dawned on me that the mess was the building materials for a bird’s nest. This time, I left it alone. 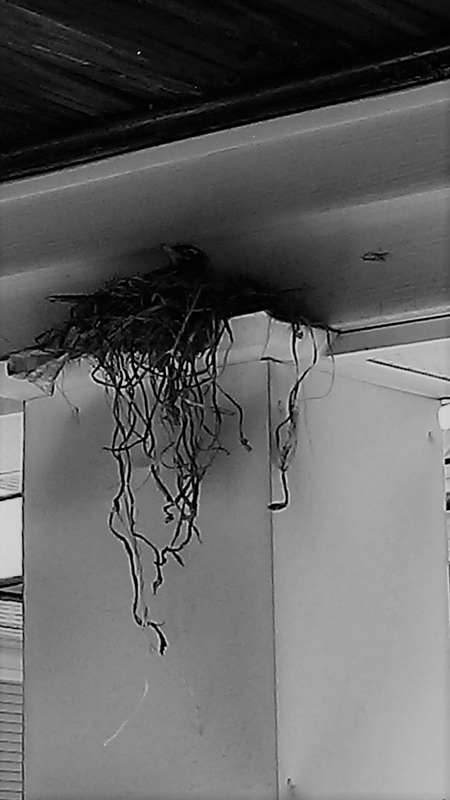 My own building project – total kitchen and bathroom reno – was finally completed and, over the weekend, as I was busily putting my own nest back in order, I kept watch from my living room windows as a robin redbreast built her home on one of my porch pillars. She’s not a very good housekeeper, I thought, as the unruly nest began to take shape. There was a bit of masking tape and paper weaved into the structure. They use whatever they can find… And the nest wasn’t the perfect little basket I imagined, as much of the dried twigs and loose grasses spilled down the pillar. Once she took up residence, I felt compelled to keep tabs on the expectant mother. I felt guilty that I’d thrown away her initial attempt at building the nest. Each time I entered or exited my front door, she grew skittish and quickly flew away, only to return minutes later. Now my movements are tentative, and I’m careful with the door. I feel protective of her and of the tiny blue eggs I imagine beneath her. That robin might not be the impeccable housekeeper that my mom has always been – that she has taught me to be – but she’s guarding those fragile eggs with the fiercest maternal instinct. With Mother’s Day coming, that little bird has me thinking about what it means to be a good mother. It doesn’t matter how neat the house is, or if a mom – especially a harried, working mom – gives her kids PBJ’s for dinner. A good mother gives of her time, she nurtures, and she puts her children’s needs before her own. Her love is boundless. To all the moms – and especially to my mom – Happy Mother’s Day.